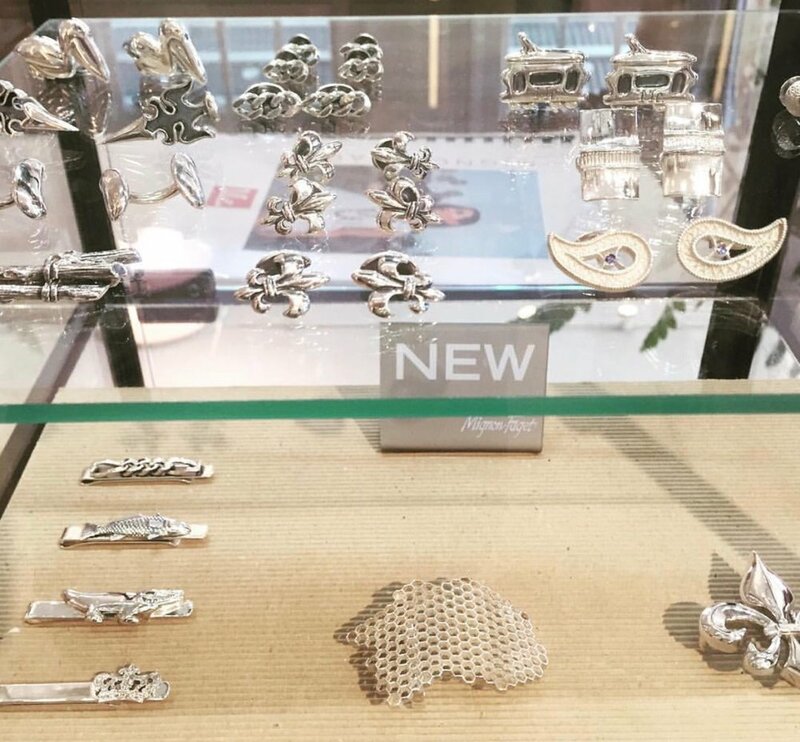 There are few things as iconic as Mignon Faget jewelry in New Orleans. A fifth-generation New Orleanian, Faget says her life, and her work, are a product of the city's vibrancy. Faget creates luxurious, yet affordable, jewelry designs reflecting the history, nature and architecture of her native environment. For decades, Faget's jewelry pieces have draped the wrists, fingers and necks of women throughout the South. They have been the go-to pieces that commemorate any great milestone, serving as daily reminders of great loves, graduations, weddings, birthdays and holidays to those who wear them. Mignon Faget pieces make the perfect New Orleans souvenir. Faget began her design career in 1969 with the launch of her first ready-to-wear clothing collection. With the success of her first collection, she began to explore creating accessories such as belts, pins and jewelry to compliment the ready-to-wear pieces. Designing and making jewelry quickly followed. Faget personally designs all of her signature jewelry collections. These designs have unique specifications that are painstakingly followed by the company's casters. Over the years, the company has grown to include not only jewelry, but home designs including glassware, table linens, candles and more. Faget also has a bridal department including a set of bridal cake pulls. Each handcrafted object of adornment is designed in her New Orleans studio and made in America. Faget is so dedicated to being “made in New Orleans” that even when executives from a TV shopping channel approached Faget with the opportunity to mass-produce her jewelry in a foreign country, she simply shook her head, saying, everything is created in the company's Magazine Street workshop. To find out where you can buy Mignon Faget, click here.